Input roll media diameter	Up to 9.8"
Input roll media weight	Up to 95 lbs. Output roll media weight	Up to 95 lbs. Installation requirements	Virtually any location with a typical air conditioning or other air ventilation system. No forced ventilation or air purification systems requiredC. A The print head is a maintenance part which the user is responsible to replace when necessary. 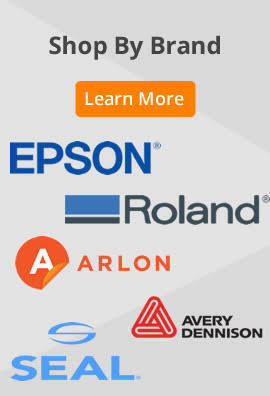 However, Epson covers head replacement while the printer is under the Epson Preferred Limited Warranty and under any Preferred Plus Plan (limited or unlimited number of head replacements, depending on the Preferred Plus Plan purchased). 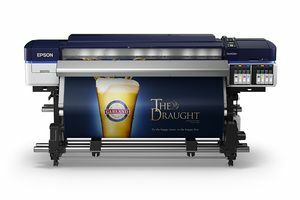 The life of the print head will vary depending on the user's print volume, print patterns and heater temperature for print settings. Doing proper user maintenance of the print head will help prolong its life. 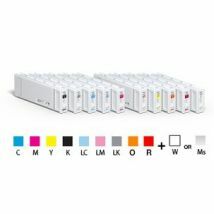 B The printer is designed to use only EPSON ink cartridges and not other brands of new or refilled cartridges, or other brands of ink or bulk ink systems. Using EPSON cartridges is important for reliable performance and high image quality. 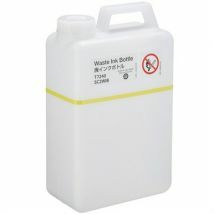 Epson offers voluntary recycling of spent ink cartridges. C Based on testing of one printer at a maximum ink duty in a room of 180 m3 and a ventilation coefficient of 2.2 (without any fan or air conditioning). For more information see the MSDS sheets in the download section.